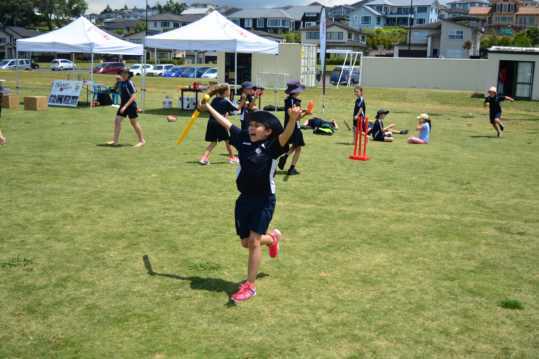 Our Saturday Fun League at Metro Park has been a hit for the last few seasons, we've designed it for first-time cricketers (Girls and Boys) aged from five years old. The Saturday Fun League gives new players of all ages a chance to learn skills in a fun environment, then to play a modified fun game at the end of the session. No equipment required. Playing shirts provided. We have adopted the Teaching Games For Understanding (TGFU) approach which moves away from drills and children being bored waiting and replaces this with small group games which develop tactical and technical skills simultaneously. The programme revolves around each player’s development and enjoyment first and foremost. Fun is our goal, with winning as a bonus. Players will be in mixed skill groups, from beginners to those almost ready to play Saturday cricket, where everyone will be given an equal opportunity to participate and have fun. This philosophy is designed to ensure your child has a fair go, learns and has fun. Moving away from winning as a primary focus, ensures young athletes are not put under unnecessary stress and pressure hindering development. A happy motivated child/athlete develops faster, stays in the sport longer and acquires an intrinsic love of the sport, which follows them throughout life. If your child is at school in Years 1-4 (ages 5-9) enroll them in our Saturday Fun League today.